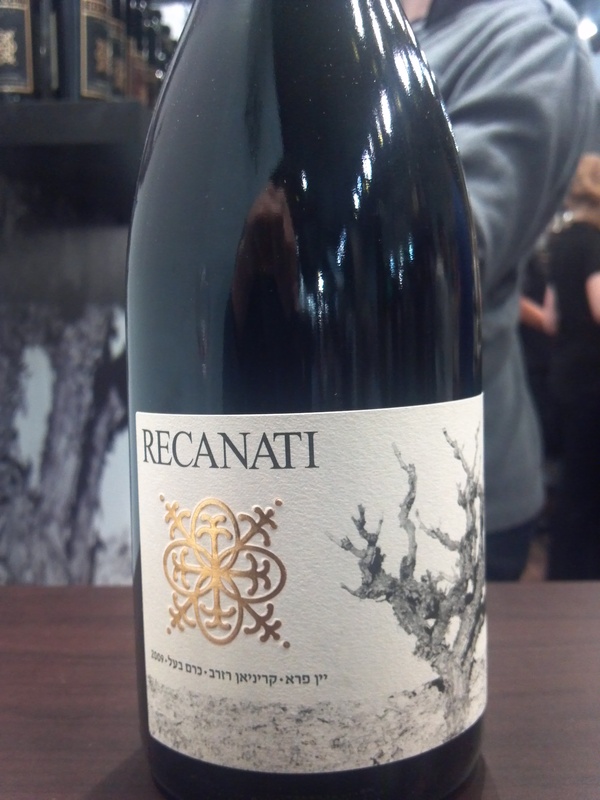 The Recanati Winery was the realized life-long dream of Lenny (Leon) Recanati, a banker and true oenophile, who got his start in wine from his parents who made their own wine from their backyard vines. The winery’s stated goal from day one was to produce quality wines at reasonable prices – a truly noble mission statement which, as Recanati celebrates its first decade, it has accomplished beyond his wildest expectations. 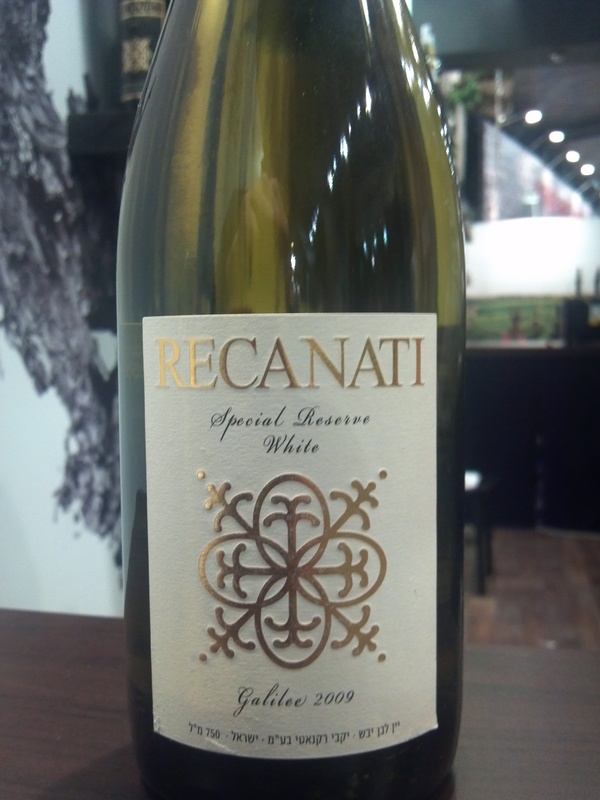 In addition to providing good value, Recanati is another winery from which you can buy any of their offerings and, while not every wine may be to your linking, you never have to worry about a bad wine. “In order to go into the wine business, you have to have a passion for it. You have to have a love for it. Let’s say there are better businesses to go into, more profitable, more lucrative. Easier ways to make money,” said Recanati. When Gil Shatsberg started making wine for Amphore Winery he tried to “take all the sunshine we have in Israel and push into the bottle and concentrate everything and shove it into the glass.” The wines were dense, heavy and high in alcohol. Now he aims for wines that are more elegant with less alcohol. “Wines with finesse that are tasty and fruity and you drink the vineyard and the sunshine in their elegance,” he said. After taking over for Lewis Pasco in 2008, he started bringing a lighter hand to the Recanati wines, ones with more finesse and elegance. By using tighter grain barrels, the wood influence is not as much diminished as it is tempered. The fruit is picked a bit earlier, thereby minimizing the alcohol and the overly ripe flavors that are common in the hot Mediterranean like weather of Israel. 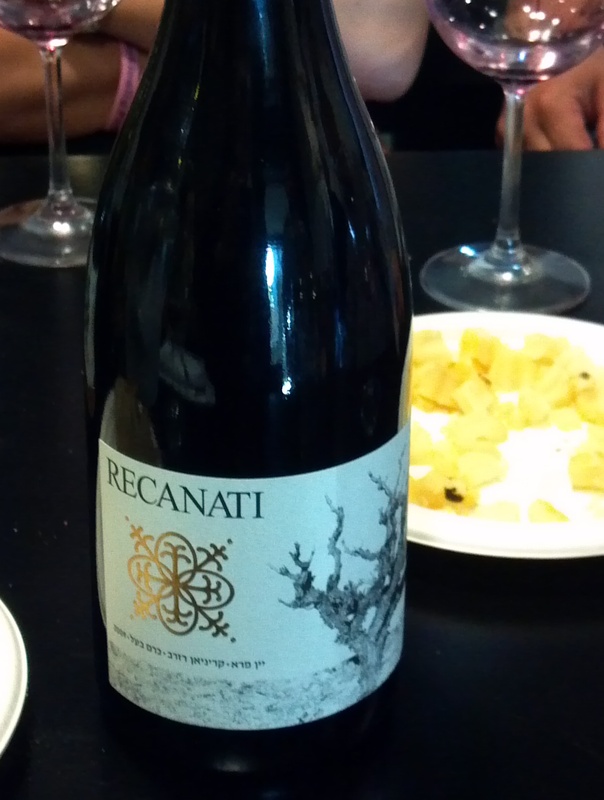 Recently, Recanati elevated another wine hand from their ranks to wine maker. Ido Lewinsohn, a graduate of the Viticulture and Enology Program at the University of Milan, is now Recanati’s second wine maker. Prior to his arrival to our winery, Lewinsohn has worked in different wineries in Australia, France and Italy, among them the prestigious “Sassicaia” in Tuscany. He also has a non-kosher boutique winery of his own, that one day I hope to be able to enjoy! 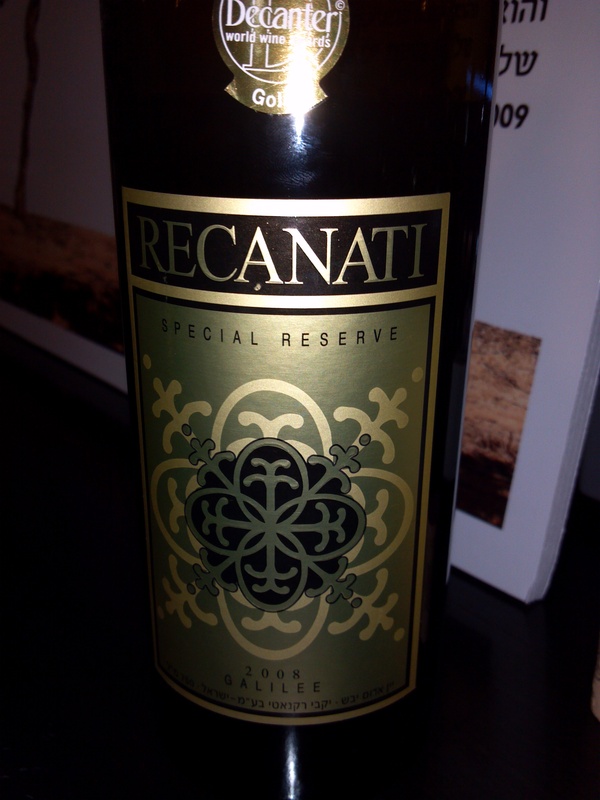 The Recanati Winery was founded in 2000 by a group of wine lovers led by Lenny Recanati. 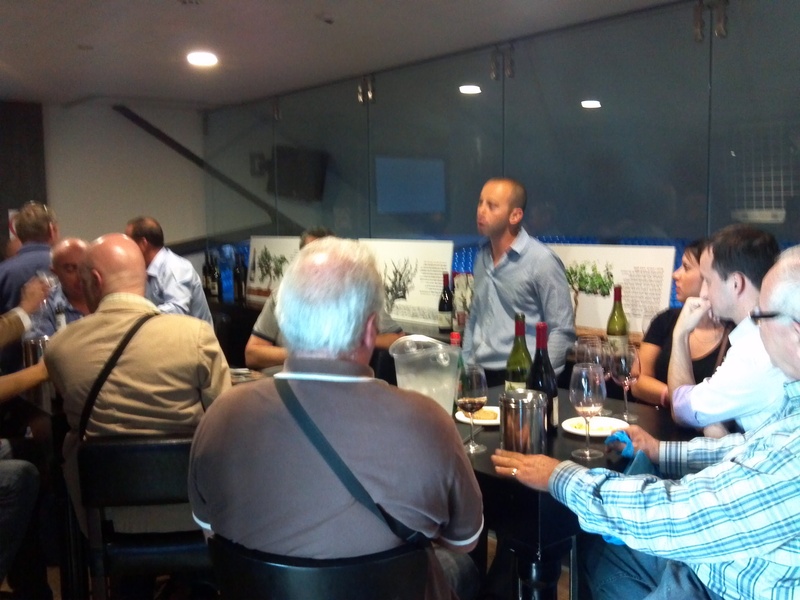 Their goal was to create a new winery for the production of quality Israeli wines at reasonable consumer prices. The Winery established its home in the Hefer Valley and is furnished with state-of the-art winemaking equipment. The most important requirement in the production of quality wines is always the quality of the grapes. Dr. Pini Sarig, an international vine-growing expert, was instrumental in assisting the winery in locating excellent vineyards as well as plots of land with vine-growing potential, where new vineyards were planted. Most of winery’s red wines are made from the noble Cabernet Sauvignon and Merlot varieties. However, the winery is also involved in cultivating and assimilating additional varieties that have great potential, such as Cabernet Franc, Shiraz and Syrah, Barbera, Zinfandel, Carignan, and Petite Syrah. The white wines are produced with Chardonnay, Sauvignon Blanc, French Colombard and Emerald Riesling. This past week, I was away from home and I had no wine with me, so I stopped off at a wine store in Florida and was presented with the classic conundrum that many face when entering into a wine store. Which wine was I to buy? The good news here was that while Recanati, is not a commonly available wine, elsewhere in the country, other than New York, and online at many retailers, it is always available in Florida. Why? Because the importer of Recanati wines is non other than Palm Bay Imports, one of the most prestigious wine importers in the country and of course, in Florida. Palm Bay imports wine from close to a hundred different prestigious wineries, from throughout Europe, Latin America, Australia, and Israel. 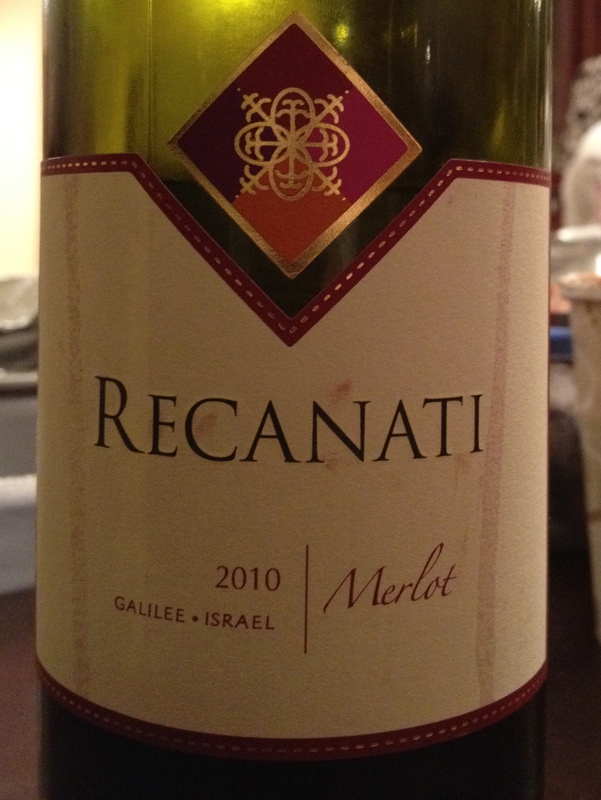 Recanati is the only winery that is imported from Israel! Interestingly, using an importer, that is as world-class as Palm Bay, but one that is not kosher wine specific, means that some of the wines tend to not show up at major retailers. Why? Because it is all about marketing and where kosher wine is sold. The majority of the kosher wine out there is sold to kosher wine drinking populace. Sure, there are many wines out there, Capcanes, non-preservative Harkham, upper label Elvi Wines, some Yarden, and some Carmel, that do sell to both the kosher and the non-kosher market. Still, the vast majority of all kosher wines are sold to the kosher wine drinking populace. 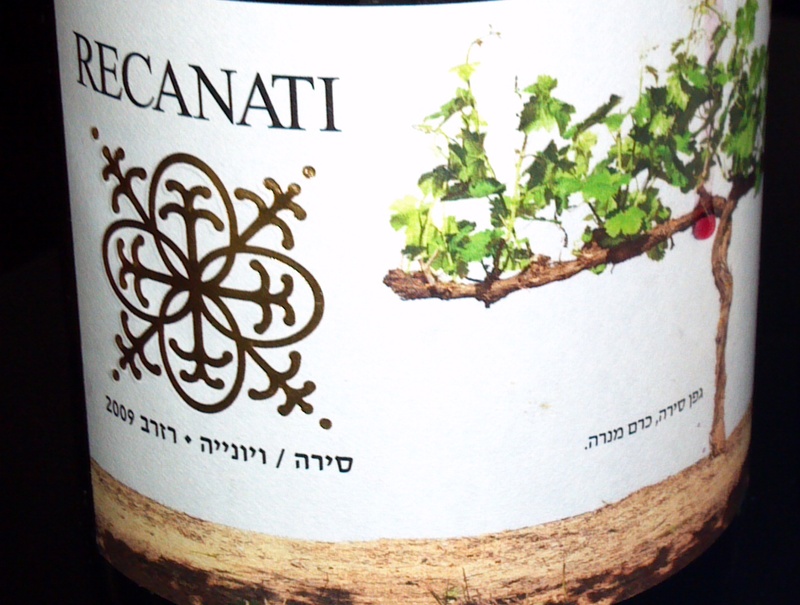 Most shops that I walk into, outside of New York, do not have much, if any, Recanati wine. Why? Because, it takes money and resources to get wine into the smaller shops, the very channel where most of the kosher wine drinking populace buys their wines that will grace their tables. Sure, some shops look for wines that their customers wish to drink, so Recanati shows up in those shops, as the shop was the driver. 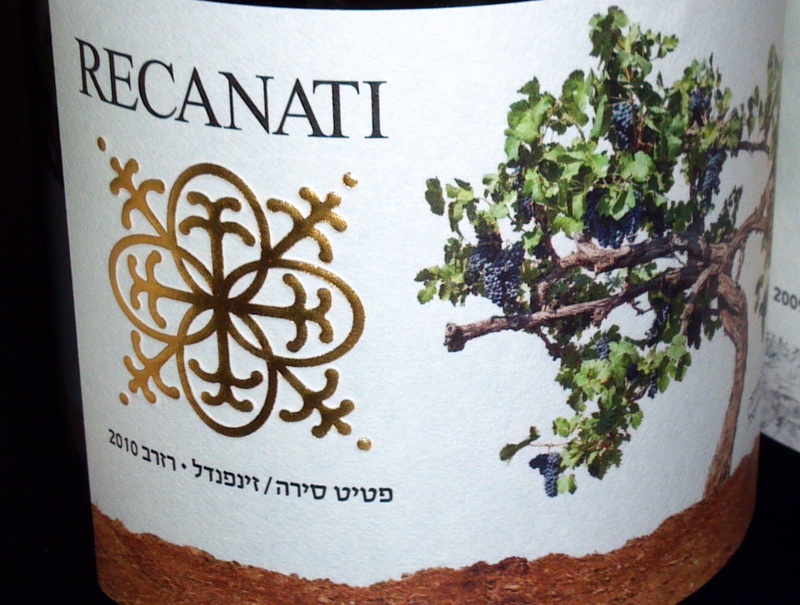 However, on the average, there are far fewer bottles of Recanati on the kosher wine shelves, in comparison to wines that reside in the portfolio of Royal Wine or Allied Importers. Of course, the real hope and vision is that Palm Bay would help to get Recanati’s wines into both; the shelves of kosher wine stores and higher end non-kosher wine stores. 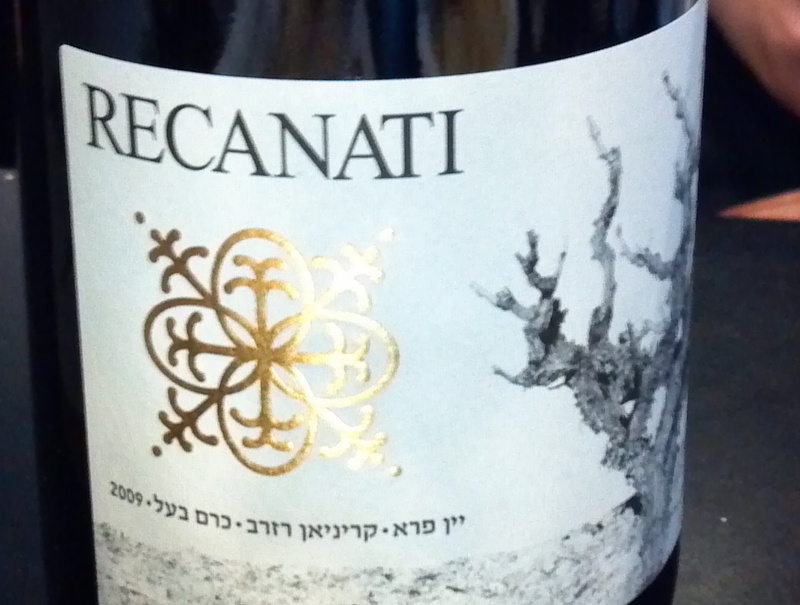 Where this may be suicide for most kosher wineries, who lack a real differentiation from their non-kosher competitors, Recanati shines through girded in its true strength, being a QPR leader, kosher or not. The idea makes sense for Recanati, but one that I have not seen working here in the US, from my perspective. Recanati, the base line label that is almost always a very solid wine and one that every year wins a QPR (Quality to Price Ratio) award. These oak aged wines are normally accessible from release and enjoyable for a few years after. Reserve, the reserve labels are oak aged and bottle aged in the winery, and are often inaccessible upon purchase. To see their real glory, these wines need a bit more time in the cellar. Mediterranean, these wines have a unique label that shows the vines from which the wine was made. The label and the three wines in this label range are quite unique and lovely, even for the more expensive price. They consist of the new wild Carignan, and the Petite Sirah Zinfandel, and the Syrah Viognier blends of old. Special Reserve, the RSR (Recanati Special Reserve) is always a powerhouse and a beast of a wine that needs many years in bottle to come around. Very classical in styling and much akin to a Tuscan beast, these wines need time and patience for them to really show what they have to offer. This past year they added a white RSR and it too is quite unique but not a powerhouse wine, more along the lines of a big and bright white with controlled oak and fruit. The changes at Recanati have not stopped at just the wine makers, the labels, and the wine’s makeup. Actually, much more is going on at Recanati Winery, while some things have also stayed consistent. Clearly, they continue to be the QPR leader in Israel, working hard to live up to Mr. Recanati’s stated goal, of quality wine at reasonable prices. However, since Shatsberg has taken over the winery has grown to 1 million bottles and has also added in innovative approaches to the next wine evolution in Israel. 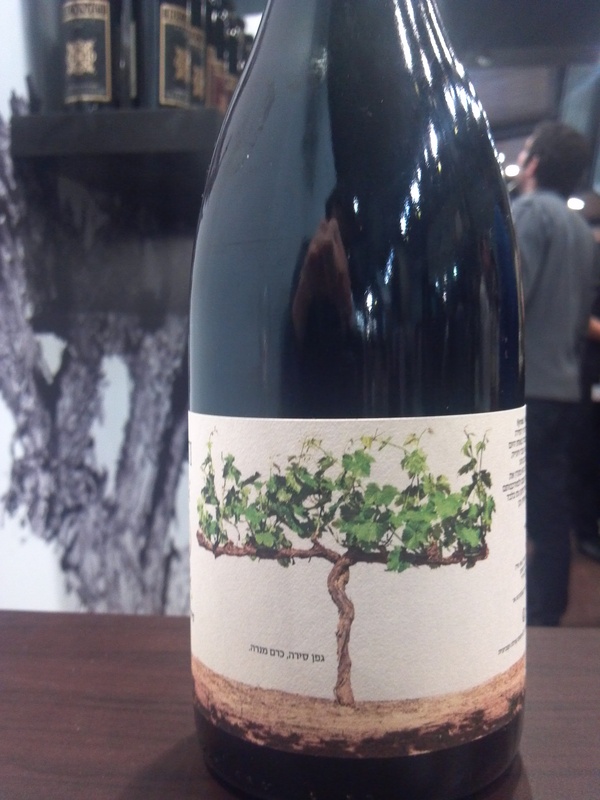 I have said many a time, that while Israeli wine is doing just fine, it needs more attention to its winners. 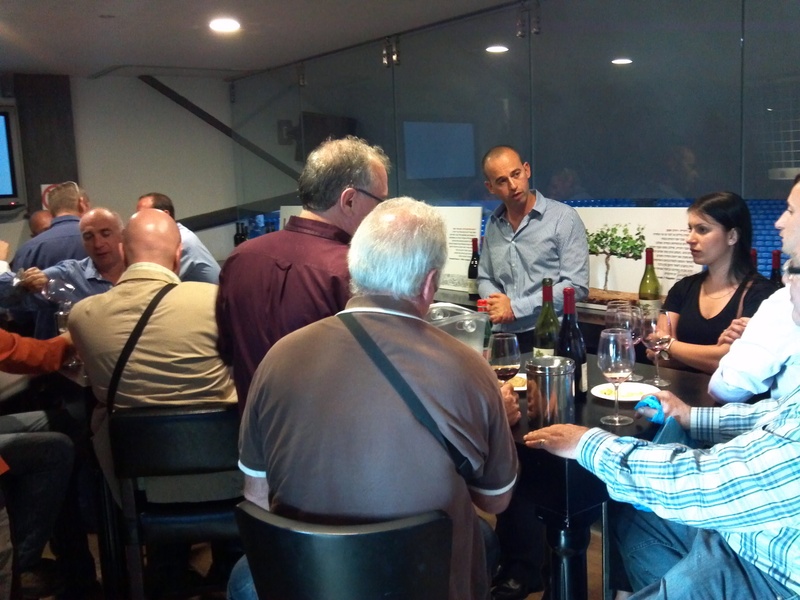 In my last post on this subject around the Wine Spectator Israeli wine tasting, the world is not reacting in cheers to Israeli Wines, because they are still making wines that are New World and sweet/over ripe in nature. While this was a hot card in the 90s and early aughts, the world palate has shifted again, and may be leaving Israel’s hot weathered wines behind. The good news is that many have thrown down the gauntlet and have decided to move away from the over ripe and sweet New World wines. One of them is Recanati, though the Carignan was still too new world for me. That said, this is a clear shift for Shatsberg and Lewinsohn, and one that I am sure will hold them in good stead, and elevate them in the eyes of the wine world. The other aspect of change has been the reworking of their labels, both visually, and price wise, along the acquisition of a wonderful vineyard in the Judean hills growing old vine Carignan. Carignan is NOT one of those noble grapes that we have spoken about so many times. Rather, it is one of those overgrown blending varietals that plagued the Israeli wine world for decades. That is until now! Carignan, Petite Sirah, and Portugal varietals are having a renaissance in Israel. You see those very old, gnarly, and tired looking vines that grace the front of the Recanati Mediterranean labels, happen to be just that old and tired. Instead of chopping them out, when the new noble grape craze took over Israel, they were magically saved from the chopping block. By allowing them to grow old, their yields are intrinsically lower and their grapes are intensified even greater. Go-ahead look over the three labels that make up the Mediterranean wines in the Recanati portfolio, and you will see they are all graced with the vines from where they were sourced. The Carignan label shows a vine that is not straight or trellised in any manner; rather it looks like a picture from the Moon! The white powered stone ground around an old and tired looking Carignan vine. The other two images come from the trellised Syrah and Petite Sirah vines. The vines that make the wonderful 2009 Carignan, reserve, wild wine come from grapes that are not only old, they are also wild. Wild here means not using any trellising, wires, or other support systems of any kind. Actually, these vines are 30 or more years old and have never been irrigated since they were laid in the ground. The ground surrounding the vines bear that out, crushed rock for as far as the eye can see, with mushroom like vines popping out of this surreal landscape. The Carignan vines are in the Judean Hills, not far from the Dir Rafat Monastery, and may well be one of the very few dry farmed vineyards existing in Israel. It is a true feat given the extreme heats that even the Judean Hills are not immune from. The vines are planted in what the South Africans call Bush Vines, but what the French call Gobelet, as the shape mimics a Goblet, umbrella, mushroom. The system has been in use since the time of the Romans, but has never proliferated In Israel, as it has in France and South Africa. It is a technique and system best used for low vigor vines, or a system used to control highly vigorous vines. Without the support for highly loaded branches, the vines would literally fall off the main trunk, if not controlled and over seen. For this reason, vines, like Carignan, which love to produce too much fruit, are a perfect match for this system. The more they produce the more they are pruned to stay alive. Overtime, the vines get old, and lose their vigor, and gain the very thing they never wanted to do – low yields. Matching low yields with dry farming makes for intensely concentrated and dense fruit, which in Israel’s hot weather is magical and insanely gutsy. Another change is the addition of a new white Recanati Special Reserve and the makeup of the red RSR! Many for the longest time have held the red RSR in high regard and it had consistently been a Bordeaux blend. Starting with the 2008 vintage that changed under hands of Shatsberg and Lewinsohn, they started adding a bit of Petite Sirah and sometimes some Cabernet Franc or Syrah. They also added a white RSR, this being a unique blend of 50% Chardonnay, 25% Sauvignon Blanc, and 25% Viognier. The one thing that has stayed common, not withstanding the rumors and all, has been that they Recanati has stayed put in the Hefer Valley Industrial Zone. They are not the only winery stuck in the middle of nowhere, Herzog Winery, in Oxnard CA is a great example of that in America, and others in Israel are also in far-flung locations. The winery continues to produce a prodigious number of bottles, in such a small and cramped location. The last time I was there, they were wrapping palates of wine in the entryway, as they had no more space in the winery. 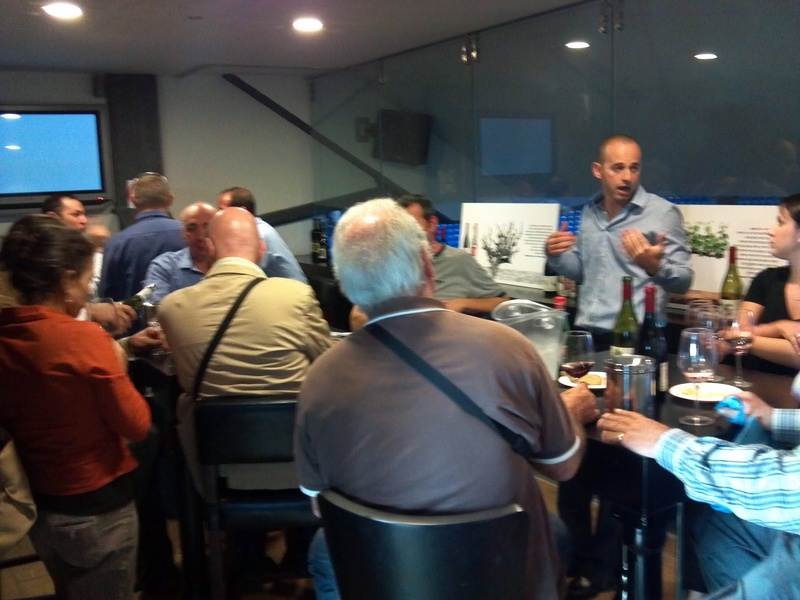 The winery is located in Hefer Valley Industrial Zone near Hadera, between Tel Aviv and Haifa. While, its location may be out of the way, its grapes continue to be sourced from some of the very best vineyards around Israel. None of the grapes are sourced locally, in what would be considered the Samson wine region, with Recanati being on the coastal plain. Instead, they source their grapes from the Upper Galilee vineyards of Manara and Kerem Ben Zimra (Cabernet and Merlot), the Judean Hills, and the lower Galilee. Many of the wine notes listed below, come from my tastings at the 2011 Sommelier wine show in Tel Aviv. I had the opportunity to meet with Gil, though briefly at the event, and then again in California (at Hagafen Winery), when he came in for the Unified Grape and Wine Symposium, earlier this year in Sacramento, CA. There are really few safe bets in the kosher wine world, for wine under 20 bucks a bottle. Elvi Wines is pretty safe, but that was not available. Ella Valley, when on sale, but they were not available. There were of course, some Herzog wines, but they were all the base labels wines, which I was not interested in. 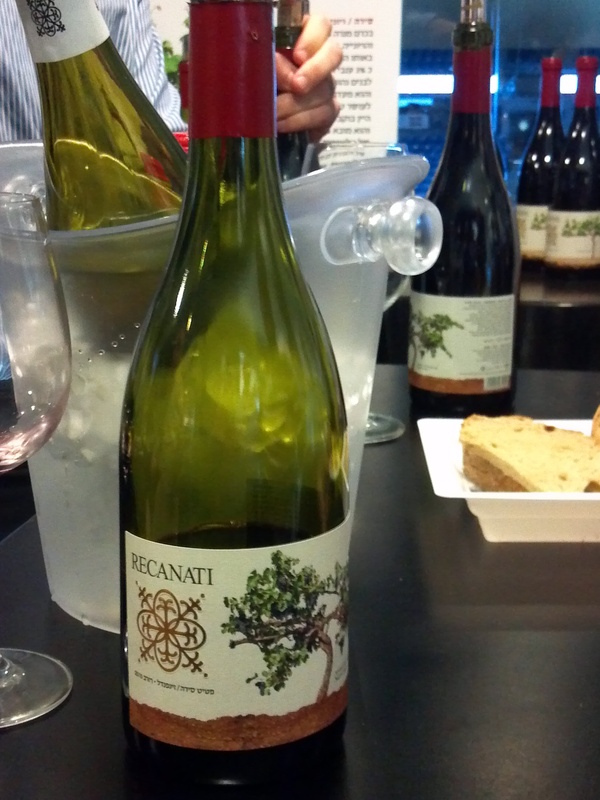 Blessedly, there were two Recanati Wines and I took them both. 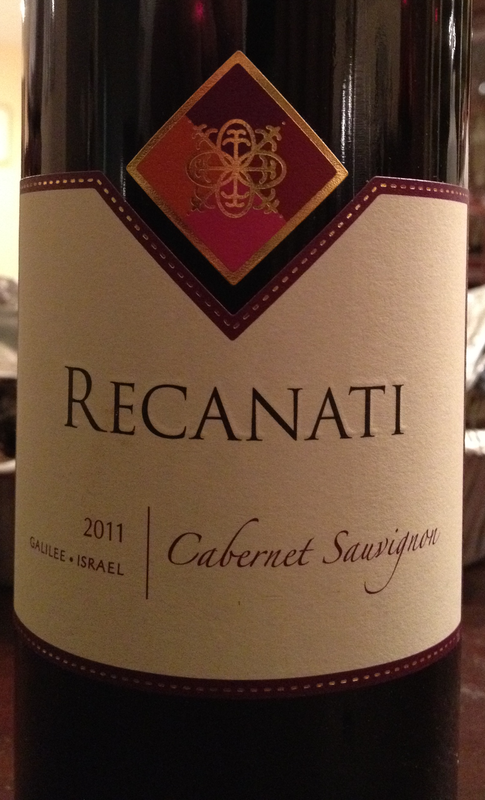 The 2010 Recanati Cabernet was sold out, but the 2011 was fine, though extremely young. The 2010 Merlot was solid and that was also a real joy to taste. The nose starts off floral with nice black cherry, green notes, and black currant. The mouth on this medium bodied wine is softening up with rounding tannin, black plum, green bell pepper, and nice cedar notes. The finish is long and spicy with good spice, black pepper, tobacco, vanilla, and bitter notes on the long finish. The nose starts off with classic Cabernet attributes, blackberry, cassis, plum, and a hint of cherry. The mouth is rich with blackcurrant, nice rounding cedar, and still searing tannin that have yet to integrate. The finish is long with more searing tannin, tobacco, chocolate, and vanilla that help to add some complexity. This is a wine that needs time yet to come around, though if you wish to enjoy it now, open it two hours ahead of drinking. This is one of those unique wines that Recanati continues to produce and continues to hit out of the park. The wine is a blend of 95% Petite Sirah and 5% Zinfandel. The nose starts off with a whiff of roasted meat, lovely blueberry, raspberry, blackberry, fig, and bit of alcohol that blows off over time. The mouth on this full-bodied wine is super extracted, rich, and concentrated that carries with it a lovely inky structure of blackberry, nice softening tannin, nice green notes, and lovely cedar notes that bring the whole thing together. The finish is long and spicy, with lovely rich espresso, tobacco, and chocolate. This is a wine that will hold well till 2017 and one that should be enjoyed from now till then. This is a wine that is very reminiscent of the Weiss Brother’s Power to the People P2P. The wine is a blend of 97% Syrah and 3% Viognier. This like the P2P continues to help wine aficionados to see what 3% of a varietal can do to a wine! Here the 3% of the Viognier shows with floral and stone fruit! The nose on this wine starts off with kiwi, peach, blackberry, lovely floral notes, roasted meat, and black pepper. The mouth on this full bodied and gripping wine starts off with layers upon layers of inky structured white fruit, followed by cassis, raspberry, blackcurrant, heavy rich tannin, and lovely cedar notes to bring the entire package together. The finish is long and spicy with nice spice, tar, and a hint of plum on the long finish. This is an extraordinary wine that still needs time to settle in, drink from 2013 till 2018. The wine is a blend of 92% Cabernet Sauvignon, 8% Merlot, which were matured 18 months in new French oak. The nose on this black colored wine is rich and lovely with ripe blackberry, cassis, cherry, cranberry, insane amount of minerality, eucalyptus, cloves, and dirt. The mouth is fruit forward with big mouth coating tannin, and layered with concentrated black and red berries, raspberry, all wrapped up in an encasement of sweet cedar. The finish is long and tannic with nice vanilla, tobacco, and chocolate. This is a blockbuster wine from one of those sure-fire and go to wineries. The RSR is always a safe bet and one that either needs tons of air or the patience to wait for this wine to come to you, Drink from 2012 till 2016. The nose explodes with almost overripe blackberry, dates, prune, raspberry, nice floral notes, roasted meat, and plum. The mouth is rich and layered, with concentrated but accessible fruit, along with a crazy inky structure, and a mouth that is massive and rich with mouth coating tannin, and nice cedar. The finish is long and ripe with nice chocolate, butterscotch notes, heavy spice, cloves, cinnamon, black pepper, and a salty finish. This is clearly a new-world style wine with crazy fruit forward and heavy use of oak, but one that is quite lovely all the same. There will be some that do not like the heavy smoke or the overripe fruit, and that is fine, just know what you are getting into with this wine. Many have given this wine huge scores while I see this one for what it is, which is a crazy unique and lovely wine that is a bit too overdone and overripe for my taste. Drink till 2016. This wine is a blend of 50% Chardonnay, 25% Sauvignon Blanc, and 25% Viognier. Those that read this blog know my deep love for all things Viognier. It is quite lovely that this wine seems to find a way to embrace all these fruit and their characteristics, without killing the other varietal notes, quite a good blend and an accomplishment. The wine was aged in French oak for 8 months and it shows in the nose and the mouth. The nose on this wine starts off with rich toasty notes, nice apple, lemon, creme fraiche, brioche, kiwi, guava, and lovely Viognier style floral notes. The mouth is full-bodied, plush and creamy, almost supple with light toast notes, nice honey notes, ripe and crisp peach. oak, and bitter almonds, that make for a unique mouth feel. The finish is long and luscious with nice vanilla, slate, and minerality. This is a wine that shows a controlled use of oak, along with lovely notes from each of the varietals, especially the floral and honeyed notes from the Viognier, and ripe lemon and kiwi from the Sauvignon Blanc, along with the brioche, creme fraiche, apple, guava, from the Chardonnay mingling with the oak in a unique and luscious mouth. Get this before it is all gone. Drink in the next year or so. This wine is a blend of 70% Cabernet Sauvignon and Merlot, along with Petite Sirah, Syrah, and Cabernet Franc. The Petite Sirah and Syrah display in a unique manner in the nose with rich and ripe blueberry, and roasted meat, along with crushed herb, nice blackberry, and cassis. The mouth on this full bodied wine is rich and layered with concentrated fruit that is black and blue in nature, that has a very inky structure, along with nice espresso, ripe plum, and accessible mouth coating tannin, that melds lovely with rich cedar to make for a plush and luscious mouth feel. The finish is long and spicy, with tons of leafy tobacco, vanilla, and toasty notes. Drink by 2016. This wine is a blend of 90% Petite Sirah and 10% Zinfandel. The nose starts off with a clear aroma of eucalyptus, menthol, floral notes, blackberry, mounds of black pepper, and light hints of date and raisin. The mouth on this medium to full bodied wine is rich with graphite, black plum, green bell pepper, lovely oak extraction, along with nice and big mouth coating tannin, and nice cedar to pull it all together. The finish is long and spicy, with tannin that stays long in the mouth, along with nice leather, chocolate, tobacco, and more green notes. Drink till 2015. This wine shows its 14 months of aging in oak, showing with nice cedar and extraction. The nose starts off with lovely green notes, graphite, blackberry, and cassis. The mouth is round, ripe, and layered with blackcurrant, black cherry, along with a lovely balance between the fruit and the oak extraction influence, huge mouth coating tannin, soft cedar impact, and green notes that come together nicely, but need time to hit their perfect symphonic balance. The finish is long and spicy with chocolate, tobacco, and lingering green notes. Drink till 2016. Posted on July 11, 2012, in Israel, Israeli Wine, Kosher Red Wine, Kosher White Wine, Kosher Wine, Wine, Wine Tasting and tagged (PSZ), bush, Cabernet Sauvignon, carignan, Merlot, Palm Bay Imports, Petite Sirah, Recanati Winery, Reserve, RSR, Special Reserve, Syrah, Viognier, wild, Zinfandel. Bookmark the permalink. 26 Comments. Wine tasting is so much fun and as I have only done it in Southern California and Italy/France, I bet it is just as nice in Florida! Actually I had no idea you could wine taste there (my bad!). I travel to Palm Bay quite often for business, so the next time I am there I must check this out since I am constantly looking for new entertainment in my down time. The Palm Bay Hotel (www.palmbay-hotel.com) has been great entertainment as well! Affordable and their indoor/outdoor pools are great fun as well!